We have an illustrious group of board members who have been vital in Sikhya’s growth and management to ensure that all our resources are utilized to their maximum potential. We are fortunate enough to have an amazing network of mentors in India who have donated their time to guide and encourage the girls to follow their dreams, help them take on leadership roles and even counsel them through tough situations. While we have adult mentors for each of the girls, we prepare and expect the older girls to act as mentors to younger girls in (and outside) the organization. While researching topics for her thesis, Iman stumbled on an editorial about child brides in India and was especially captivated by a girl named Sunil, who defied the odds and took a courageous stand against her parents who wanted her married when she was just 11 years old. Inspired by this story and her own struggles growing up in India, Iman was motivated to research this topic further and realized there were too many young girls who desperately needed financial support and mentorship to get out of social and economic adversity. 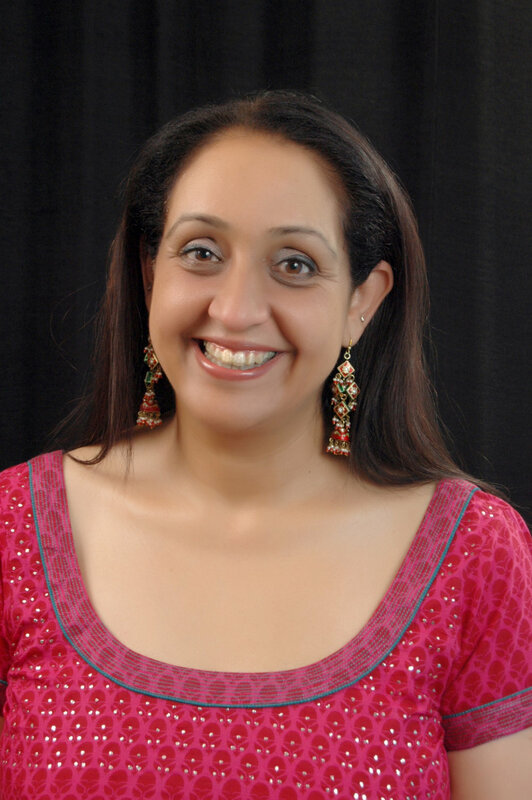 After completing her doctoral thesis at Eastern Michigan University on “The Environment of Poverty and the Limits of Girlhood,” Iman continued her work with the girls and formally established the non-profit Sikhya in 2012. Iman is currently a full-time instructor at Eastern Michigan and has almost three decades of teaching experience in the USA and India. Suman Desaraju is an engineer, dancer and mother living in Plymouth, Michigan. She was born and raised in Michigan and attended the University of Michigan, where she earned her bachelor's degree in mechanical engineering. She is currently working for DTE Energy where she supervises the Central Chemical Labs. Growing up, Suman was fortunate to have the support of her parents, who not only encouraged her to excel in math and science, but also indulged her in the pursuit of classical art forms. She has learned the Indian classical dance forms of Bharatanatyam and Kuchipudi, and studied classical piano for over 12 years. Though she was born and brought up in the United States, Suman has a deep connection to her cultural roots. She’s aware of her good fortune of being raised in a progressive home, which has drawn her to the cause of empowering girls in India to fulfill their potential through education and the acquisition of useful job skills. She believes that the young girls that Sikhya is working with are no different than her own daughter, and they deserve the right to the same tools to allow them to become independent and successful. Becky started her professional career as a scientist, with a master of science in microbiology, working in research laboratories studying infectious diseases and neurophysiology. She has always had an interest in education and community service. After starting a family, she decided to pursue her other interests that led to her personal involvement in her children’s educational experiences as well as a number of community initiatives. When her family moved from Charlottesville, VA, to Ann Arbor, MI, Becky became involved with the Rudolf Steiner School where she became active in the parent organization and served on a number of committees. She helped organize community conferences on education, coordinated marketing and advertising, joined the Board of Trustees, and even served as President of the board for five years. After stepping down, she was asked to serve as the administrator for the growing organization. She led the administrative team to support the growth of the RSSAA from a K-8 grade school to a K-12, two-campus organization. Becky has always been passionate about children and education. Having three daughters and a son, she has always felt strongly about the importance of giving young women choices for their future. Believing that we are now a global community, working with Sikhya is an opportunity to make progress toward that goal. Susan was born and raised in Janesville, WI. She attended the University of Wisconsin, Madison and received a degree in social work. Susan has worked for Catholic Social Services in Kansas City and Milwaukee until she moved to the Ann Arbor area. In Ann Arbor, Susan became a full-time volunteer in the public schools while she was raising a family. When her children went to college, she re-entered the work force and managed a tennis, swim and fitness club, and later even managed a French home goods store on Main Street in Ann Arbor. Her younger son married an Indian woman from Kenya; coincidently, Susan had started Bollyfit dancing just a year before that. These two events acquainted her with various intriguing elements of Indian culture. Having recently retired, she had been exploring opportunities to give her time and experience to a voluntary non-profit venture. Her interest in Indian culture, women’s causes, and the purpose of Sikhya provided an ideal opportunity. Jason has spent the last 14 years in Van Buren Public Schools as a middle and high school teacher. Working with kids across all spectrums of income and ability, he has always sought to build bridges between people, strengthening the bonds that hold communities together. In his classroom, students passionately investigate and discuss the mandated curriculum, but also pursue passion projects that connect with the student’s lives outside of the classroom. Prior to being a teacher, Jason worked as a photojournalist in television news. Working first in Lansing, MI and then in Flint, MI, he dove deep into the stories of cities left behind by the financial and technological success. Investigating poverty, and the human cost on the people that it ravaged, were part and parcel of his daily assignments. However, within those stories, the ones that resonated the most with him were the ones where people rose above their circumstances, helped each other better themselves, and showed the power of community over individualism. Jason works daily to use all the tools at his disposal to help people connect. Whether its through fundraising to help an 8th grader leave Wayne County for the first time to get to stand in the US Senate in Washington DC, or to build lessons that break down the walls of ignorance and help students see the humanity that's within us all.